Recently I've started to be a little more conscious about how my life and actions have an impact on the planet. I don't want to stop flying in airplanes or move to a self-sustaining farm, but I'm keen to start making little changes that don't require too much effort on my part. There is so much information on the internet about how to start living a more ~sustainable~ life but honestly, where do you even start? Also, will buying waste-free food and unpackaged cosmetics end up costing a lot more money? I decided to start changing things one at a time, and documented how easy or hard it was, and how much extra money it cost, if any. Here's how I went. 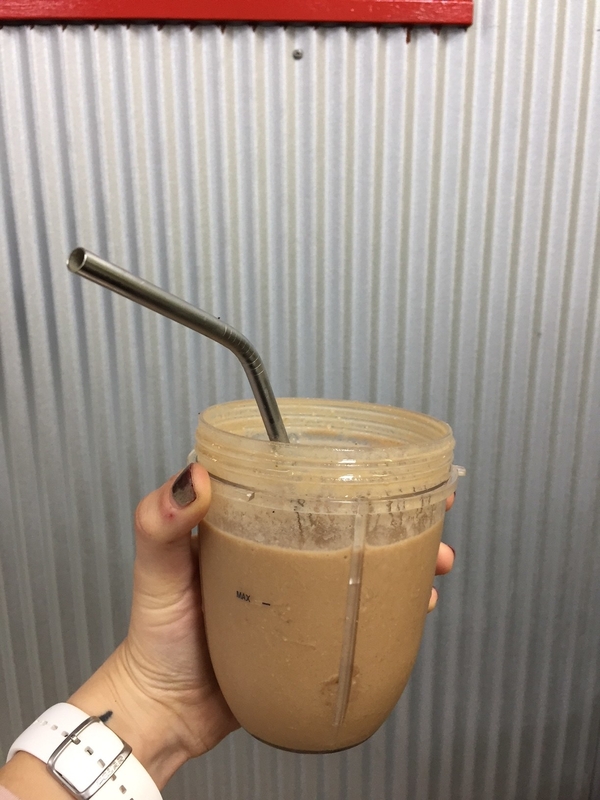 I use a straw nearly every day, as I usually have smoothies for breakfast. 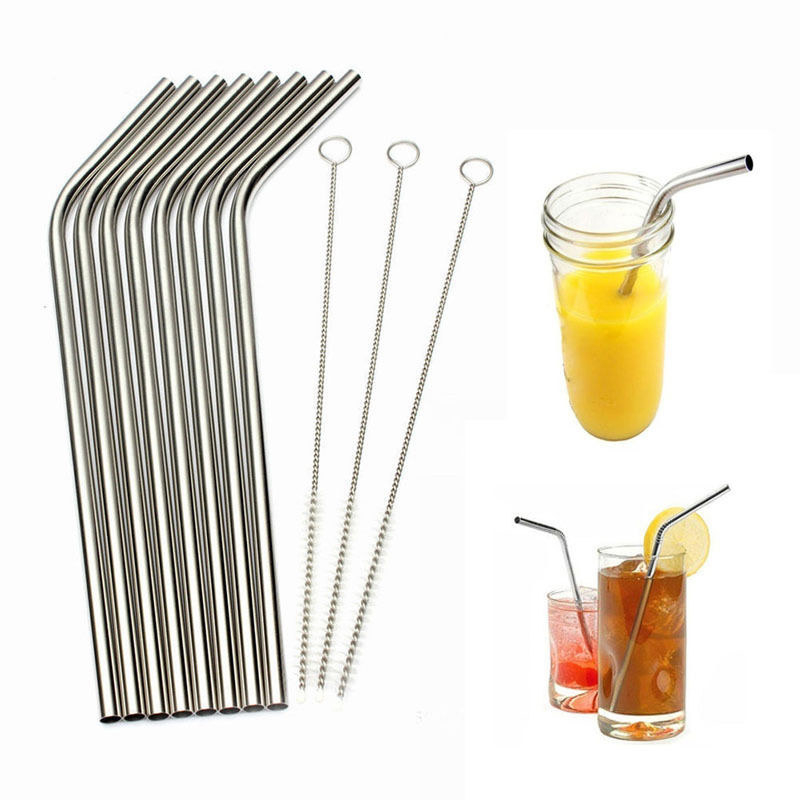 I bought a set of four metal straws off eBay for literally less than $5 including shipping. I keep two at work, two at home. I worried about the gross feeling of metal in my mouth but honestly it feels just like using a colder version of a regular straw. You can also get glass alternatives if you prefer. These were the ones I bought, but if you're not based in Australia I'm sure you can find similarly priced ones in your country. I usually buy one-litre plastic bottles from the supermarket and refill them continually for about two weeks and replace them. So I decided to buy a reusable bottle made from thicker plastic that I can clean and reuse, and will last much longer. I wanted one of those fancy stainless steel ones but I didn't want to pay the premium. This giant one cost me about $10 from Typo but honestly you can get them everywhere. So far it's lasted two months without any sign of getting old. I reckon it'll last a year at least, which means I'm saving money by not buying $2 bottles every couple of weeks. Cost: 💸💸 to💸💸💸/5, depending which bottle you get. I got a Keep Cup for Christmas ages ago but it got lost in the back of my kitchen cupboards when I moved. I dug it out, cleaned it, and now I use it every day. I actually got a second one so I can keep one at work, and take one with me when I go out on weekends. My local cafe has a 20-cent discount for everyone who brings in a reusable cup, so honestly I'm saving money. The pricing of the cups start from $14, but if you don't want to fork out the cash, you can ask someone to get it for you as a birthday or Christmas gift. Tip: If you really need a coffee on the go, but you forgot your Keep Cup, then ask for the cup with no lid. The plastic lids are the real killers. Difficulty: Medium because you have to get in the habit of remembering to take it places with you. Cost: 💸💸💸/5 but it'll pay off if you go to the right places. I always take canvas bags with me when I go grocery shopping, but sometimes I'll buy a couple of things randomly when I'm out and about, and feel really guilty about using a plastic bag. Whenever I remember, I try to carry a small folded-up canvas bag inside my handbag/backpack. It folds so small it's no hassle at all. Usually it just sits in there, unused, but from time to time it'll come in handy. It took a little getting used to, always trying to remember to pack it, but I've probably saved about ten plastic bags in the last two months. Also, this costs no money because literally everyone has a stash of random canvas bags they've picked up from all over the place. Difficulty: Medium, you gotta get in that habit. The Toothcrush plans start from $42 a year but are cheaper if you get it for two or more people. If you buy for four people, it's only $2.64 a brush which ends up being cheaper than plastic brushes. There are also heaps of other brands you can check out. Difficulty: Low. Literally easier than buying a plastic toothbrush. I recently tried making my own cosmetics as an alternative to buying the ones that are filled with chemicals and packaged with a whole factory's worth of plastic. They were all made from ingredients that I already had at home, just to make things even easier. Some of them were duds, but I'd definitely recommend trying the DIY body scrub, dry shampoo, and makeup remover. You can check out this post I did for the full reviews. Difficulty: Medium to high, depending on what you make and how lazy you are. Some makeup and cosmetics I just can't DIY. So I started looking for alternatives to the usual stuff I buy, but I wasn't confident that they'd do as good a job as what I'm used to. The idea of a shampoo bar is all well and good but will it actually wash my hair? I tried a bunch of products from Lush which only uses recycled plastic in its packaging, and have a number of unpackaged products as well. Their products are all made with mostly natural ingredients and things I can actually pronounce, which makes me feel better about putting it on my hair and body. I was pretty damn impressed with how well everything actually WORKED. The shampoo bar left my hair feeling literally cleaner than ever, though it didn't have quite as much volume as I get with my usual synthetic, supermarket-bought hair products. But honestly, it worked SO WELL at cleaning my hair that I'm sticking with these forever. I don't want this to sound like a Lush ad, but it's the only brand I tried. I'm sure there are other brands you could try out that would be just as good, if not better! Their dry shampoo did the trick, their body wash had me feeling clean, and their bath bombs are always relaxing as hell. Their facial cleanser worked really well for me, but I've never really had an issue with my skin and can't promise it'll work for everyone. The only downside is that it's extremely expensive compared to the products I'm used to using. The shampoo bars do last a while, but it's a big price to pay if you only use it once and don't like it. Lush has also come under a little criticism for not being entirely eco-friendly, though they're still a better alternative than most mainstream brands. There are definitely other options that are cheaper than Lush, but I can't personally vouch for how well they work. J.R. Liggett has great reviews (if you're in Australia you can get it on iHerb), or try Basin. Difficulty: Medium, you've gotta find the right products that work for you. 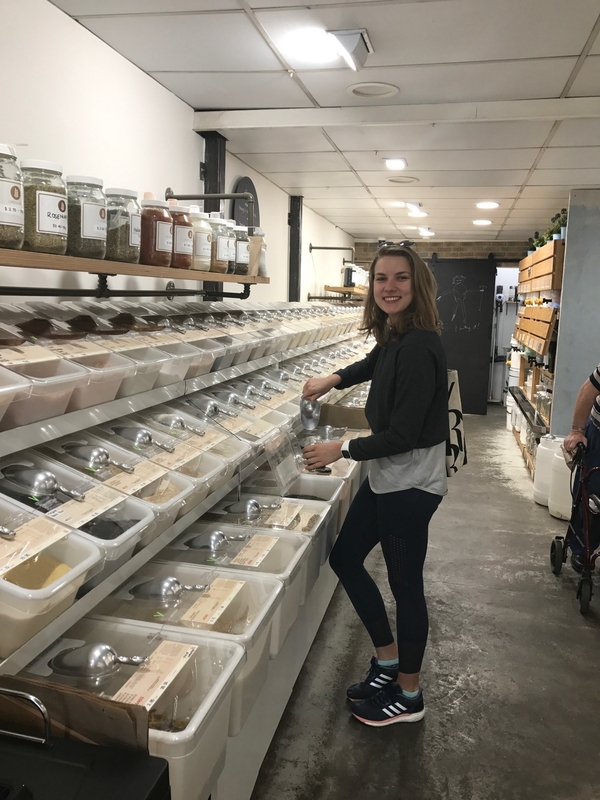 While it would be hard to completely cut out all pre-packaged food from supermarkets, I found it pretty easy to start buying staples from bulk-food suppliers. 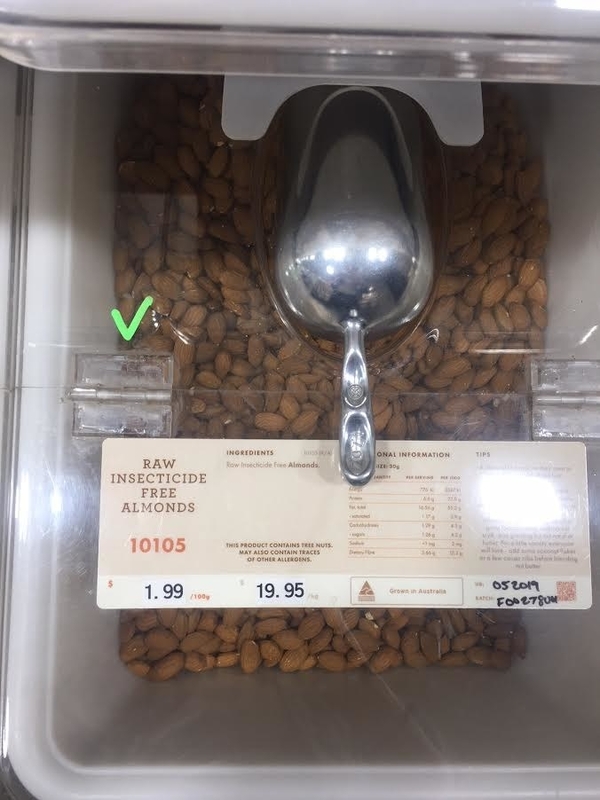 I live in an inner-city suburb which definitely helped, though a lot of Coles stores are now offering bulk bins for things like nuts and grains. I stocked up on rice, pasta, flour, nuts, dried fruit, oats, pre-made muesli, tea, protein powder, and chocolate at my local bulk foods store. They offer paper bags for you to fill up, which is then sold by weight. 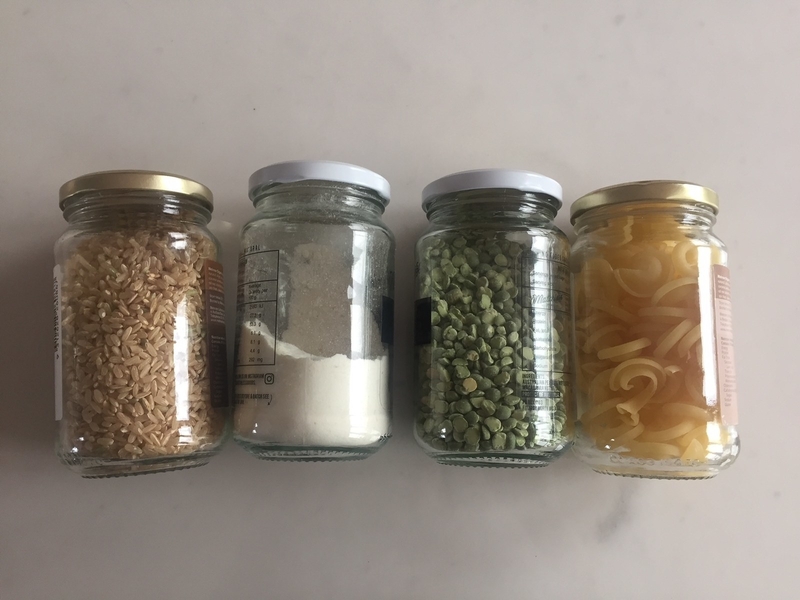 I usually bring in my own empty glass containers (old peanut butter and pasta sauce jars) which cuts down on even more waste. But how does the price compare? I found it to be a little more expensive than buying packets of the same ingredients, but being able to buy only what I needed made things easier. Rather than buying a kilo packet of rice from the supermarket, of which I might only use half, I could buy just the amount I needed for a month. Obviously, if you eat rice for every meal, then you're better off buying giant packets. 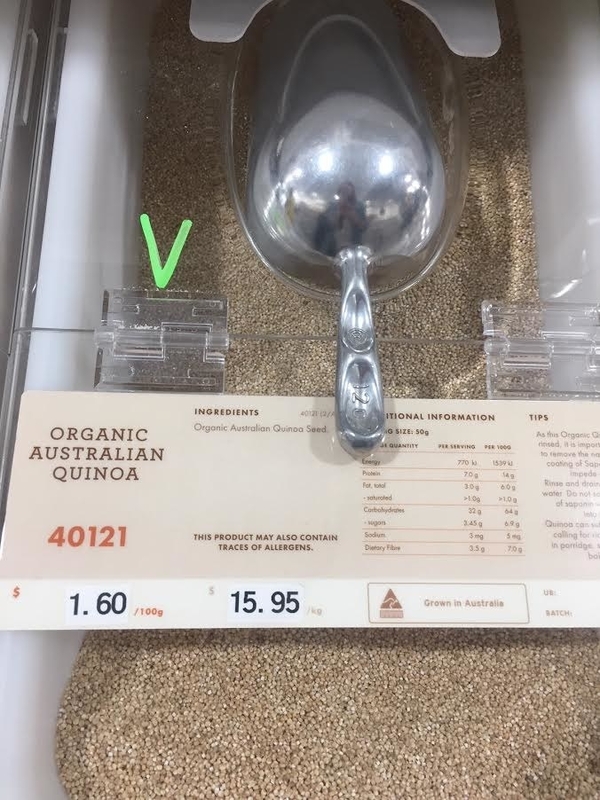 Buying regular brown rice from a supermarket costs $0.32/100g, while buying (biodynamic rain fed) brown rice in bulk cost me $0.90/100g. Almonds from the supermarket cost $22/kilo and bulk-bought almonds are $19.95/kilo. Raw sugar is $0.33/100g at the supermarket and $0.50/100g in bulk. For things like dried fruits, nuts, and muesli, it tasted a lot fresher and better than their supermarket-bought counterparts, something I'm happier paying a premium for to be honest. Difficulty: Low if you live near a bulk-food store, but high if you don't. 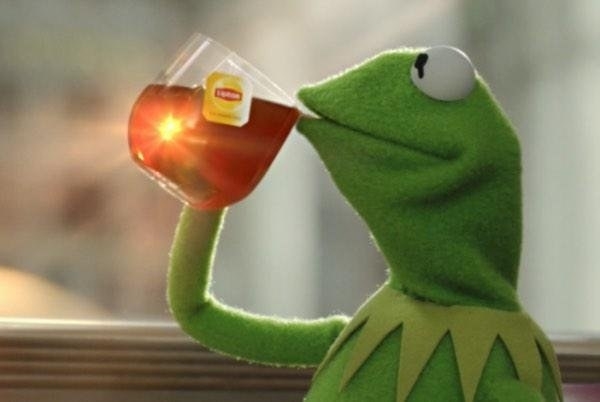 I usually drink at least one cup of tea a day, but I never realised that teabags are actually pretty bad for the planet. Some aren't fully biodegradable, and can take hundreds of years to break down. Occasionally I buy loose-leaf from T2 but it's a little on the pricey side. The bulk foods place I buy my groceries from sells tea by weight, and it's a LOT cheaper than I expected. I filled up a whole jar, which lasted about 15 cups, and paid $1.50 for it. 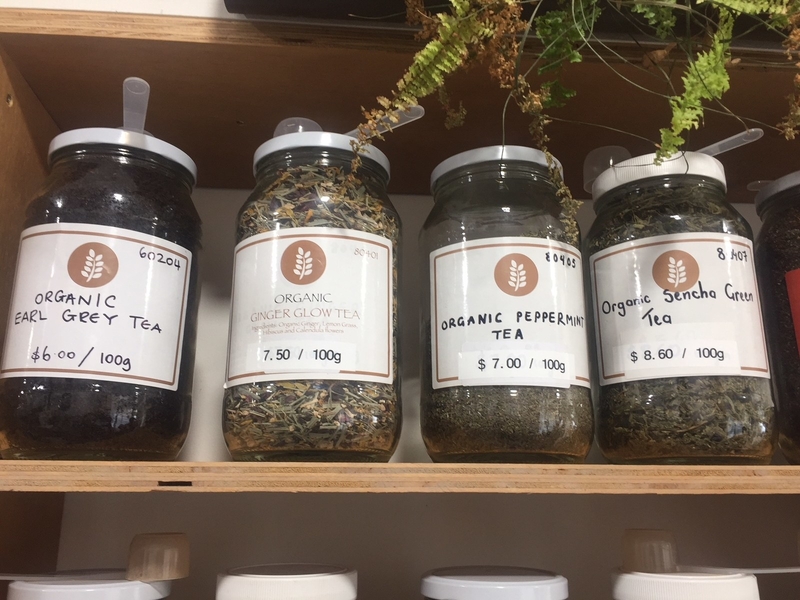 There's usually good-quality loose leaf tea in the supermarket as well, or have a Google for tea shops in your area. Once you go loose-leaf, it's hard to return to teabags. Difficulty: Medium, you've gotta put in the effort to find a loose-leaf tea supplier near you or online. I eat a lot of meat, usually for two meals each day. It's often chicken or fish, occasionally red meat. I was going to start introducing Meatless Mondays but then I figured why not go the whole hog (pardon the expression) and tried to do two full weeks meat-free. I figured out prrreeeetty quickly that I'm very intolerant to most legumes, and I already know that my body doesn't react well to soy. Eggs, nuts, broccoli, quinoa, and spinach were all good alternatives I tried to incorporate into my diet, but I found it hard to make sure I was getting enough protein every day. I would have a protein shake for breakfast but didn't want to have more than one a day. I found eating vegetarian was a lot cheaper than eating meat, though. A can of chickpeas was about $1.50, and that would give me two-to-three servings of whatever recipe I was making. The organic free-range chicken breast I usually buy costs about $5 for two servings. I personally won't be going full-time veg, but I'm more aware of how eating meat can impact the planet. I've started eating kangaroo as a great red meat option, as it's got a relatively low carbon-footprint. You just have to get used to the idea of eating kangaroo, then you realise it's delicious. 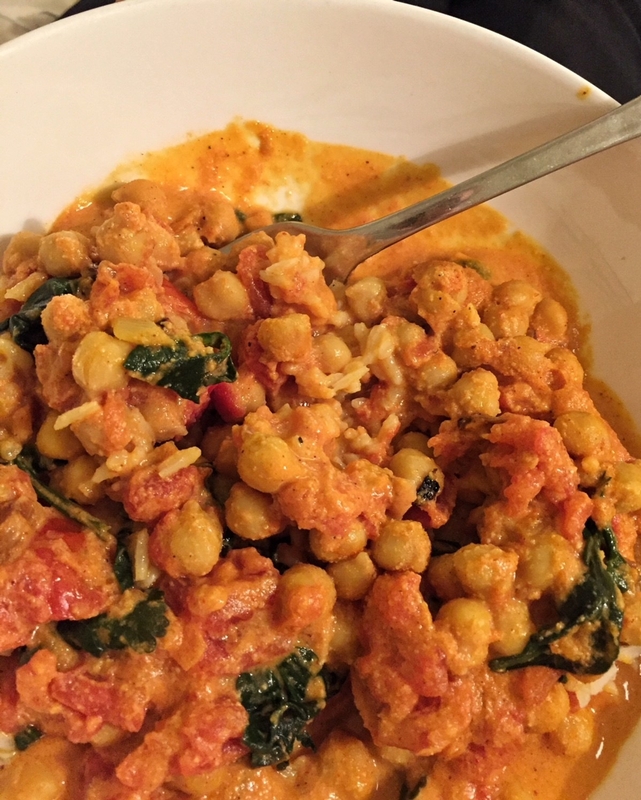 I did make a delicious chickpea curry I can recommend, even though it made me bloated as hell (kind of worth it). Also The Happy Pear on YouTube have great vegan recipes, as does blogger Oh She Glows. Difficulty: High, if you're used to eating a lot of meat. 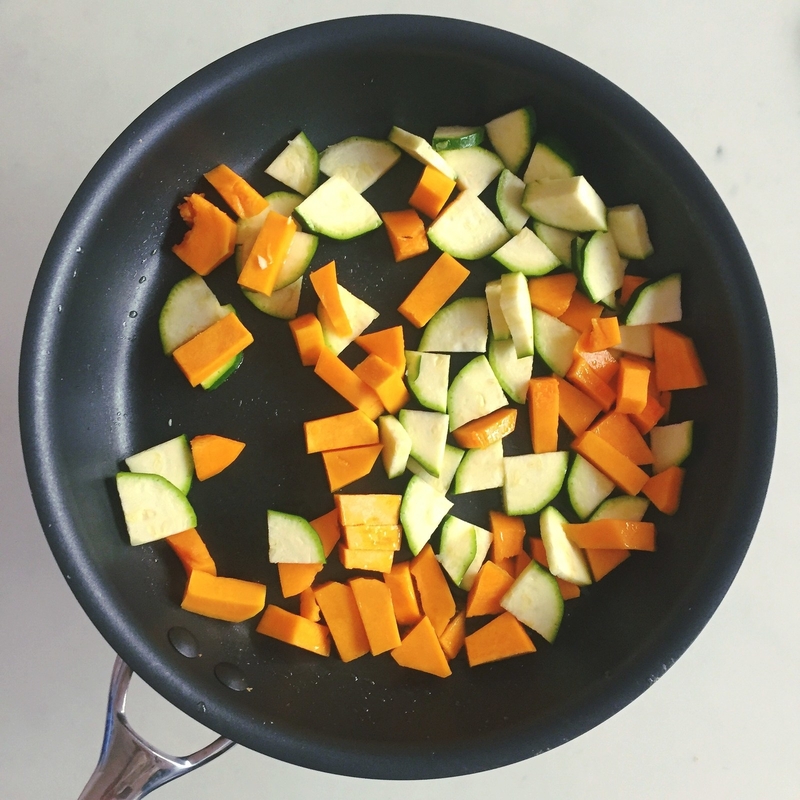 You gotta find new recipes, and make sure you're still getting enough protein and iron. I found all of these swaps really easy and relatively cost-effective to implement. I know that they're not major changes and it might not have that much of a difference in the grand scheme of things, but every tiny thing counts! They're also really do-able, permanent changes that I'm going to continue with – except the vegetarianism. I'm trying to do meat-free Mondays whenever I can, though! There are so many resources out there if you're also thinking about making sustainable changes in your life. TheRogueGinger has some great information for getting started, EcoWarriorPrincess has heaps of links to sustainable fashion and beauty brands, and Lifestyle Justice is a blog focusing on ethical living and social justice. Also I recommend following @zannavandijk on Instagram who inspired me to start this whole thing in the first place, and Reddit has a lot of good info.